I don’t like writing this blog…………..it’s not the blog itself but the time I am doing it……it is 5:30 am. I went to bed last night at midnight after a long day of appraisals (I will come back to that) and then e-mails and writing the blog that will be posted before this called Where Were You in 82. The e-mail marathon included some friendly banter with PA 007. I do this every now and then to lighten his daily grind of sitting in his cubicle. Yesterday we were telling jokes about the French and he was telling me all about his new best friend, his Dog and sniffing partner “Tim.” PA was telling me that he even dresses Tim up with a tweed waistcoat (as did Sherlock Homes) although he lived in cold and damp London and not in Miami where its 90 degrees…………poor Tim. Anyway, PA 007 did tell me that things have gone quiet as to who PA 007 is as there is no way to win the office pool because nobody knows. PA’s boss M is on vacation hiking in Montana so the heat is off. Let’s see what scent PA007 and his hound can pick up next. Appraisals, as I am sure most of you who have had to do these they are never easy. Yesterday I did the appraisals for all 16 dancers, our two singers and all the entertainment staff. I started at 9 am and finished at 4 pm. The ship was docked in Civi so this was the best time for me to do it. I decided to do the appraisals in one of the public lounges. I do this because I never like to conduct business in our cabin. Why? Well, that’s our home for months on end and Heidi works very hard to make it feel like a home for me so I never try and do anything meeting wise here. I do have an office but it’s a little small for this and a little “stuffy ” so I decided to hold the appraisals in one of the public lounges. There I sat for hours holding the appraisals and all was going well……………..until………………….she saw me and locked onto me like a torpedo. There was not even the “I am sorry to bother you” opening statement but instead she interrupted our Dance captain Ian who was in full flow talking to the dancer we were appraising and opened her salvo with a booming ……..”this is ridiculous”………..I excused myself and calmly asked the lady to step away with me. Oh, yes, I forgot……..what was ridiculous, what had this lady’s head spinning 360 degrees, what had turned this lady into a mad dog frothing at the mouth ready to poke my eyes out with a blunt spoon……………….The Casino Was Closed……….she wanted to gamble, she couldn’t because we were in port and it is illegal to open the casino and henceforth and once again I was the Sperm Of The Devil and the cure for her madness was to cover me in phlegm and if an axe had been at hand I am sure it would now be buried in my jacksie (English word, I suggest you Google it). Still, that’s part of my job to listen to her rantings and I respect her as a paying guest who had every right to be upset………………………..mad old bat. Yesterday, a blogger asked what was happening during the dry docks of the eight Fantasy-class ships. I though I would slap this press release on (thanks Roger) which goes into some more detail about what will happen. MIAMI (March 29, 2007) – Expansive children’s water parks, a new design style and features for the pool areas, and the creation of the Serenity adults only deck area will be part of a dramatic transformation of the open decks of Carnival Cruise Lines’ eight Fantasy-class ships. 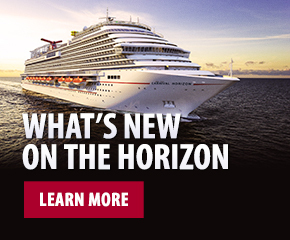 The new features are just part of Carnival’s $250 million “Evolutions of Fun” program, the cruise industry’s most ambitious ship refurbishment and product enhancement initiative, which focuses on the line’s eight Fantasy-class vessels. These “extreme makeovers” are part of an overall initiative to upgrade all of the unique guest-pleasing features and design style of the Fantasy-class vessels in addition to providing guests with new and exciting shipboard amenities. “The Fantasy-class vessels are the most successful series of cruise ships ever introduced, as well as the industry leader in three- to five-day vacations, carrying nearly 1.6 million guests annually,” said Bob Dickinson, Carnival president and CEO. “‘Evolutions of Fun’ represents a multi-million-dollar investment designed to build upon these vessels’ tremendous appeal with vacationers by incorporating a host of new and exciting facilities and features,” he added. The expanded outdoor recreation areas will initially be incorporated onto the 2,052-passenger Inspiration and Imagination during upcoming month-long dry docks this fall and added to other “Fantasy-class” ships in 2008 and 2009 during scheduled dry-dock periods. The updated pool and deck areas on the Inspiration and Imagination are just one component of extensive ship-wide refurbishments to these vessels that initially began in 2005 and include renovations to virtually every guest area. Among the new features are fully remodeled staterooms and suites including new bathrooms, flat-screen televisions in staterooms and select public areas, atrium lobby bars, updated sound and lighting systems in various lounges and clubs, coffee bars, nine-hole miniature golf courses, new art and photo galleries, New York-style delis in the Lido restaurants, and purpose-built conference facilities. With Carnival expected to carry a record 575,000 kids this year, particular emphasis is being placed on family friendly amenities, with new and expanded play areas, part of the line’s top-rated “Camp Carnival” program, and new facilities for the “Club O2” teen program. Custom-designed spaces geared toward 12- to 14-year olds are also planned and more than 50 interconnecting staterooms are being added to several Fantasy-class ships – perfect for large families or family gatherings. The “Evolutions of Fun” initiative is also responding to the changing needs of health-conscious consumers with a complete overhaul of 12,000-square-foot spa facilities. The spa makeovers include new private treatment rooms, state-of-the art exercise equipment and a host of cosmetic enhancements. The addition of new sound and lighting systems in the main show lounges takes Carnival’s legendary revues to another level, with several new dazzling productions that make maximum use of video projections, pyrotechnics, lasers and elaborate sets and costumes. Many aspects of the “Evolutions of Fun” enhancements have already been completed on the Fantasy, Ecstasy and Fascination and partially executed on the Sensation, Elation and Paradise. By 2009, the entire Fantasy-class fleet will be completed including the fabulous new transformation of open deck areas. Other upgrades, incorporated fleetwide, include the Carnival Comfort Bed sleep system, with plush mattresses, luxurious duvets and high-quality linens and pillows, a variety of cuisine enhancements, as well as “Wi-Fi” Internet access in virtually all public areas, and cellular phone service. 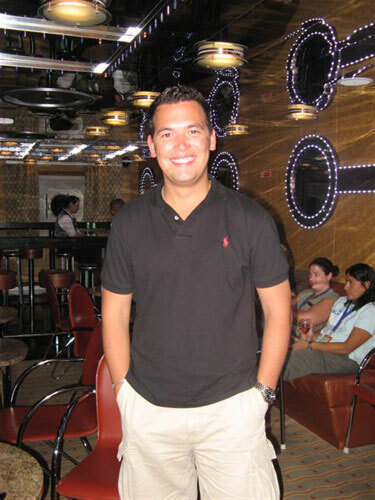 “Carnival has always recognized the need to be a pacesetter in the overall vacation industry. With our extensive research in consumer vacation preferences, we’re able to anticipate vacation trends and tailor our product to the needs and desires of our guests, who are the driving force behind this initiative,” Dickinson said. “‘Evolutions of Fun’ is just the latest example of our commitment to guest satisfaction and our continued efforts at making the ‘Fun Ship’ vacation experience the best it can be,” he added. The big screens on the Lido deck are not part of the makeover but I hope one day that all the ships have them. These are very exciting times for this class of ship and remember they will now be called Carnival Fantasy, Carnival Ecstasy etc, etc. If any of you need any information about a Carnival Fantasy class ship, please let me know. Here are today’s photos which are a little different. We will return to the port photos later in the week but today and maybe tomorrow I want to show you some of the crew. Each crewmembers photo has their name and also what they do onboard as well as the words “welcome onboard” in their own language. Enjoy. 1. Dino – Maitre D who is from Croatia. Let’s chat about the scrapbooks. I have asked our Bon Voyage department to make these available to guests to purchase via the web site. This should be ready to go in a few days and as soon as they are I will let you know. Here is the link thing that you will need to hit or punch when you are ready to buy. http://www.carnival.com/BonVoyage/Default.aspx They will have both Caribbean and European ones available so I hope you enjoy scrapping. I will let you know when they are ready. TAMI STARR – How are you, great to see your posting again. As I mentioned above the Scrap Books will be ready on line soon, very soon. I am so sorry we did not have them onboard when you cruised but we have begun to see how popular they are and therefore are getting them out to the fleet as quick as we can. I will let you all know when these are ready and all the best until then. JANFRWA – I understand Big Brother 8 is taking your attention from the blog. Do you know that I was supposed to go on Big Brother 1. 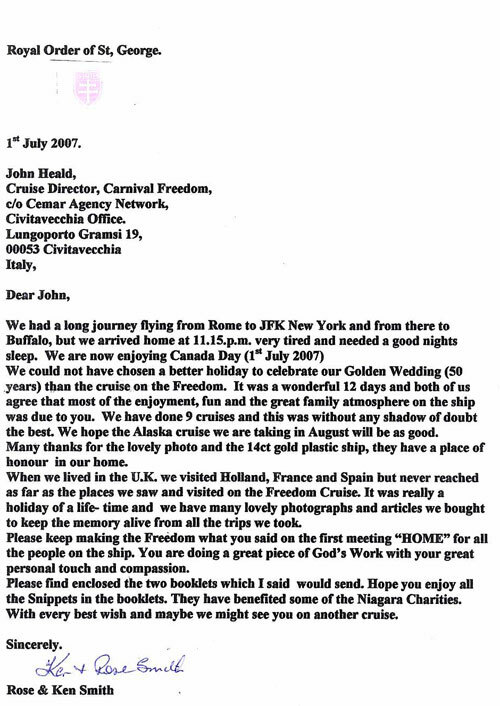 One of the producers from Endimol productions had sailed on the Carnival Triumph and sent me letters and faxes (remember faxes?) asking me to take part. I seriously considered it but Heidi who was from Holland where the program originated and had seen the program and told me it was dreadful and not to do it…………so I didn’t. It will be nice to meet Miss Mayor on the Carnival Splendor and I am sure she will have a great time. Thank you for your kind words about the blog and I look forward to reuniting with you all next year. Heidi sends her kind regards. RUTH JAMISON – Hello to you and the family. The jellyfish in Katakolon seem to be there every week and in fact I must take a photo of them for the blog thingy next cruise. The scrap booking thing is the subject de jour (you can tell it’s only 6:30am, I am speaking French) and I am sure in the weeks to come it will become a huge and popular hit on all the ships. This time next year I will be preparing the Carnival Splendor for its inaugural cruise and that means it won’t be long until wee see you again. I will say a big hello to the jellyfish from your kids. Please keep reading the blog thingy. SONDRA HEAVERIN – Another huge scrapbooking fan who will be excited to hear that we are selling them on all the ships and soon via the website. I see you asking for information on your cabin features, please can you tell me what your cabin number will be and on what ship and I will send you the relevant information. Let me know so I can get back to you ASAP. You can even glue my reply in the scrapbook. SUSAN B – Hello Susan and I have marked you down as another big SB (using the abbreviation now) fan. You asked about the sketch and cartoon artist we used to have on Promenade Deck on some of the ships. I remember these lovely Korean gentlemen well and they were so talented. Unfortunately that concession is no longer with us although maybe it is worth considering again someday. Now, you were also concerned about not having to climb lots of stairs to get to the Supper Club here on the Carnival Freedom. You can avoid them completely you will be glad to hear by taking the elevator directly from the mishap area on any deck to Deck 10. If you would like me to make a reservation for you I will be happy to do so. I will see you on the Bloggers cruise where I hope we will have a SB instructor available. All the best. CATMAMA044 – Welcome back and I hope you had a good week’s vacation. Where did you go? Working on a ship this big means that you never know what is waiting for you around the corner and the young man who used such bad language to Heidi was just another of our cruise Ship Adventures. I have to say though that if he had been a few years older I may have gotten myself in a whole world of trouble, nobody speaks to Heidi like that…me, well I can take it but to speak like that to a lady……….unbelievable. I realize that many of the thousands of blog fans will not be able to come on the bloggers cruise because of prior commitments but I hope the next one will be planned far enough in advance that everyone can indeed come along. I think we should start planning that very soon. Of course we will raise a glass to you and everyone as indeed I am doing now with my cup of P G Tips Tea. Let me know when you are ready to book the Supper Club and of course I will book for you. Thanks again for taking the time to read all the blogs you missed. RIKKI BOYCE – Sorry for the misspelling of Tigger, I spelt Pooh correctly though. As far as the parents of the young man with the bad mouth, well, I guess I expected more from them because….well…….they are parents and I am ever the optimist. Oh well, live and learn. Hope all is well with you mate. ADIAS.ANGEL – The SB’s are selling like hot cakes and cost $23.99 for the Album plus $11 for the extra refill – whatever that is. I think the idea will be to have an expert on hand to assist with the gluing and sticking and whatever else needs to be done and it looks like we need to do this ASAP while this hobby is as popular as it is. Chris Prideaux is working on this now and the idea will be to have someone trained in this on every ship ASAP. I will keep you updated as to when this project gets underway. Hope you continue to enjoy the blog thingy. DOTTIE – What an interesting post Dottie and I am sorry that we lost you to RCI 10 years ago. I understand that change is sometimes needed so therefore I think its time for you to come and discover Today’s Carnival which I think you will find is vastly different to the one you knew 10 years ago. So, I am going to ask you to bombard me with questions and comments so that I can show you why you should consider taking a Carnival cruise again. You mentioned Europe and certainly a Baltic or Grand Med adventure next year on the Carnival Freedom and Carnival Splendor will open new and brilliant doors to the world of Carnival Cruise Lines today. So, I expect you to use me and let me show you what you have been missing. By the way, I will never bring back the male Nightgown contest as I can’t run fast enough anymore. From looking at your cruises, I think we were on the Carnival Destiny together and it is time we met again. I am standing by to show you a whole new world of vacation fun. DWA 76 – David, you made me smile with the words ” CARNIVAL SHOULD BUY YOU AN ASTON MARTIN ” Now, you and I know this will never happen but maybe for typing my fingers to the bone they could Hire me one for my vacation from December 1-31. Just in case someone at Carnival is actually reading this and decides to have a collection for me you can hire one through http://www.astonexperience.co.uk/ Life really is about dreams. I am glad you appreciated PA 007’S information on The World and yes, I think you are correct, it does seem as though your boss got lucky by not making an investment. Your kind words are indeed uplifting and as we head for 500,000 readers I continue to be thankful to all of you for taking the time to read my words. Thanks mate. 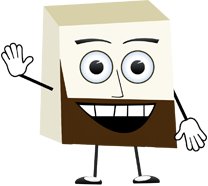 JTODDINMAN – Let’s talk about tipping then and I will try and answer all your questions within the next few minutes. As you are aware, tips are placed onto each guests sail and sign card at the start of each cruise for the following positions. These amounts are based on a per guest per day. 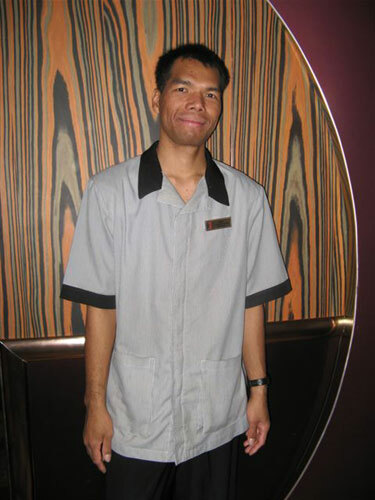 Now, each stateroom steward has an assistant as does the waiter and they are responsible for paying a portion of the tips to them. These amounts are paid to the crew every week so that’s why you always here the word “thank you” echoing around the guest corridors and the dining rooms on the last night of the cruise. Remember, if you receive exceptional service and you want to give extra monies to the crew then indeed you can do so. Also, in the very rare occasion that you should find yourself unhappy with the service you can remove the gratuities from your Sail and Sign card via the Information Desk……..but I am positive you never will as the service provided by these excellent crew is something we are so proud of. I hope this helps you understand the policy and if there is anything else you need I remain at your service. DAVE SOREFF – Hello mate and yes, your memory serves you well I do indeed worship the king of comedy Mr. John Cleese. It’s great to hear from you (remember everyone that Dave used to work in a duo on the ships with me way back when) and I am sure you are having a great time in Alaska. You and Doug know too many of my secrets and I guess I will have to bribe you with more Cleese comedy classics to make sure you don’t post anymore. I send my best to you and your partner and if you see Doug ask him to play Jersey Girl by Springsteen, it was always my favorite song you guys played. Take mate and here is some Classic Cleese FROM Fawlty Towers. This is not politically correct these days but his antics can brighten the darkest room. Here is an extract (as best I can remember) from an Episode called The Germans. Basily (Cleese) is suffering from concussion and is confused that there are German guests staying in his hotel. If only I could have a small percentage of his wit…………….anyway (and with no disrespect meant to any German Bloggers) here is Basil at his best. Basil: Don’t mention the war. I mentioned it once, but I think I got away with it. So it’s all forgotten now and let’s hear no more about it. So that’s two egg mayonnaise, a prawn Goebbels, a Herman Goering and four Colditz salads….no, wait a minute…I got confused because everyone keeps mentioning the war. CAROL SCHOENBERGER – I am glad you liked the Cleese speech and hopefully you liked the one above. Welcome back and first of all I received the photos of the Male Nightgown Contest you sent. Very funny, but unfortunately the CD in the photo is Greg Kneal, not me. We were always getting mixed up because we had similar accents and facially we were quite similar except he is really ugly. Anyway, it was very interesting looking at them and I have passed them on to Greg who now lives in Mexico. You mentioned the people who I write have complained and if it gets me down. Well, honestly, yes, sometimes but I want to make one thing as clear as I cam. The only reason I post the letters of complaint I get are to show all sides of my job. I receive anywhere from 20 – 100 letters a day for 12 days and it would be wrong if I only talked about the positives. However, out of 50 letters a day, maybe one or two at the most have something negative to say. Maybe I should not show everyone the negative letters that I occasionally get but again, I do so because this blog has to cover all aspects of my job and life onboard if it is to continue. I really think you should consider being a Travel Agent and when you are ready maybe I can help. I am sure your sister and family are having a great time on the Carnival Pride and as always Carol, I smile when I see your name on a posting. All the best from us both. BIG ED – I promise I will never give you a hard time to understand my accent. I think though that you must come and hear it for yourself on January 19. I am waiting for your answer. MARK TWAIN AND A HALF – I think we are finding a whole new generation of Cleese fans and I am sorry that your computer is covered in tea after you laughed out loud. Your computer was covered in tea and I was covered in this ladies spittle…………I would have preferred the tea, mate. It seems you are enjoying the blog and I am so happy that you are also finding the stories amusing as so often life is. Cheers mate and keep reading the blog, more laughs are just around the corner. 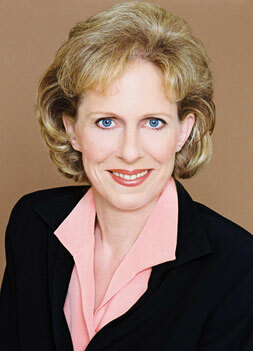 RICHARD DEMEIJER – Heidi and I send you our deepest sympathies at the passing of your Mother. Please know that you are in our thoughts and during this difficult time if there is anything you can think of that you may need I will be here for you. I do hope that in the days ahead that some of the memories you have of your cruise last week here on the Carnival Freedom may, if only for a moment, bring a smile to you and lift the cloud of sadness that must be with you at this time. Please stay in touch and again all of us send our thoughts of sympathy to you and your family. NANETTEALI – Your English is one thousand times better than my Spanish. It seems to me that you are in the early stages of ATCOCS syndrome which means you need to get help now. If not, you may become like Mr Whitmore – Smith who had cruised on Carnival many times but decided to go on another line. He was thrown off the ship (which will remain nameless) after painting over the Big X on the smokestack with the red and blue paint of Carnival Colors. You always make me smile mi amor and as always Heidi and I send you our verity best. Buenos Diaz. 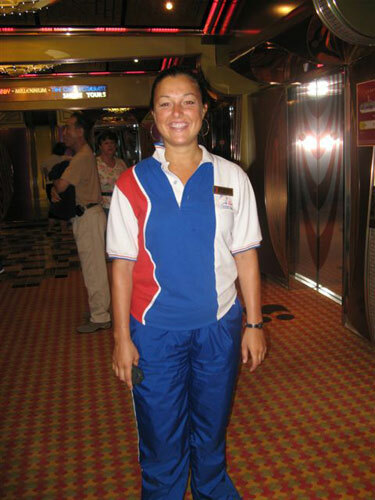 RUTH JAMISON – Welcome back and I am so pleased to hear that your recent cruise on the ship was so fantastic. I think I will hire you as a spokesperson for Fun as the words you taught your family to live by could do with being spread further a field. There are one or two guests who stay in hotels, come on cruises and live their own lives in a negative bubble but I know they are few and far between and that as our comment cards state each and every week, 99% of people say they enjoyed the cruise. How come though, it’s the 1% who always wants to be heard? Anyway, welcome home and I hope you will keep reading the blog thingy until the next time you cruise. MJS – I honestly do not think I have an accent, maybe a slight English Estuary one but certainly I have never had anyone tell me that they cannot understand me before although I must admit, a drunk Scotsman may be a bit harder to comprehend. Let me write this next bit in English using my Essex accent and see if you understand……………..here we go. I luv John Cleese as well don’t ya just fink he is bloody marvelous and if some geezer can’t understand me accent, well,….. am I bovered ? Let me know if you understood me and all the best. SAILINGWENCH – You are welcome. Anytime you have question, please do not hesitate to write to me. DOUGNEWMANATSEA – I knew about the John Cleese speech from years ago. He actually performed it back last year in the Royal Albert Hall during a charity event called: The Secret Policeman’s Ball.” I am not sure if he wrote it but he performed it as only Cleese can. As for the article about ResidenSea I am checking with PA 007 to make sure we did not break the law in posting the statement……….if I go to jail will you bail me out? CRUISEMARY – You are welcome and I am sure that the Supper Club will be one of the highlights of your cruise. I will see you all in September and I am here between now and then should you need anything else. See you soon. Therefore, I am glad you booked the cruise, it is the only known cure. Please let me know should you need any help with tours etc. 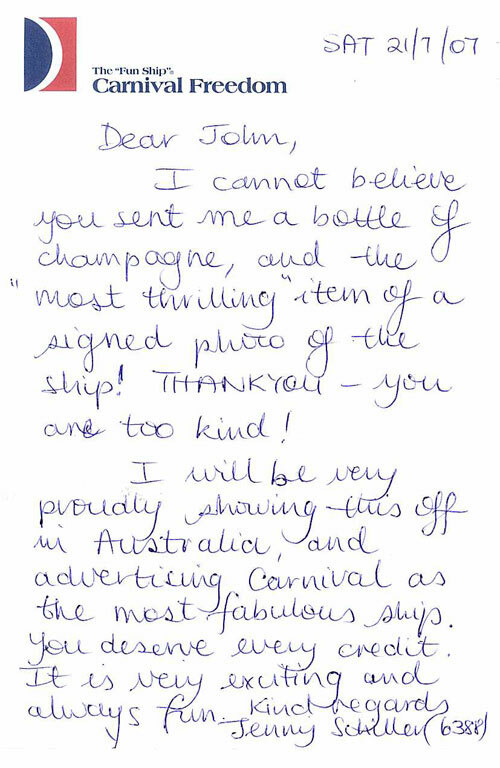 DIVETRASH – I just e-mailed my mate Chris on the Carnival Valor and I am sure he is turning even more red as we speak. The British accent has always faired me well and if anything, I think I have become Americanized over the years by saying things like Garbage instead of Rubbish etc, etc. Thank you for your thoughts and I will be Googling Mr Dave Barry to discover more. I LOVE THE Jersey accent. In fact, I love Jersey people and their honest straight ahead outlook on life. I also love salt-water taffy and Stewarts Root beer, yep, it’s all about food. I will promise to have a guest interview with Ron our Piano Bar player as soon as possible. Thanks mate. CINDY 56 – A posting that like so many others I feel rejuvenated after reading. Having grown up around people from England and in your case people from Liverpool (scourers) as we call them you are familiar with the various accents in the U.K. The guest from North Carolina did indeed have quite the Southern accent but as my friends from SOUTHERN DREAMS who are as we speaking watching leaves fall will tell you, we understand each other perfectly. So, thank you for the rejuvenation and I thank you for the time you take to read the blog thingy. RUS AND NINA FRANKLIN – and, after reading your posting, it is obvious you speak the language of fun …fluently. Thank you for making me laugh, I needed that. I owe you one. JAYNEEN CASBARRO – I do get letters that cover every human emotion. Laughter, tears, anger, joy, celebration, tragedy and more. I feel very privileged that people seem to want to write to me sometimes spilling their innermost thoughts. I am glad you enjoy the blog and the letters and I will keep them coming. Thank again and all the best. That is enough for today, more Q & A tomorrow. Now it is time for the Guest Interview. We are very privileged today to introduce one of the most respected individuals in the cruise industry, Pamela Conover, president of Seabourn Cruise Line. 1. Pam, thank you for taking the time to speak to us today. Can you tell us something about your career so far? It’s been quite a voyage, John. I first got involved with cruise ships as a banker. I worked at Citibank helping shipping companies finance their fleet expansions. It’s ironic that one of the projects I worked on was putting Seabourn and Carnival Corporation together, and now I’m president of Seabourn, for the second time! I also served as president the Greek company Epirotiki Line and of Cunard Line Limited, which included both Seabourn and Cunard, during the building and launch of Queen Mary 2. Then I went back to Carnival’s corporate office to head up the section that’s called shared services, looking for advantages that can benefit all the Carnival family of cruise brands. 2. Before we get into the specifics of what Seabourn is all about can you describe a Seabourn Cruise Vacation to all of us using just ten words or less? I’ll try: Seabourn is about – big suites, small ships, great places and sincere, personalized service. I think that’s ten. 3. You currently have three stunning ships in the fleet, The Seabourn Pride, Seabourn Spirit and Seabourn Legend. Where are the ships deployed at the moment? All three of Seabourn’s yachts are sailing in Europe at the moment. Seabourn Pride is up in Scandinavia, exploring St. Petersburg, the Baltic and the Norwegian fjords. Seabourn Spirit and Legend are in the Mediterranean. Legend is cruising the Riviera and Spain, France and Italy. Spirit is over in the eastern part, sailing from Venice east to the Greek Isles, Turkey and the Black Sea. 4. I have spoken to so many people who have cruised with Seabourn who just rave about the exceptional personalized service and the amazing suites. Can you take us for a look inside and describe the cabins and the service that has guests so enchanted. Everyone who sails on Seabourn is in an ocean-view suite. There are just 104 suites on each ship. They are large and comfortable, with a separate seating area and either a five-foot picture window or a double sliding glass door that opens onto a step-out balcony. When you come in, your suite stewardess will greet you with a glass of chilled champagne (there’s another chilled bottle waiting, too), and a selection of designer soaps for you to choose. Each suite has a bar and fridge stocked to your request with wines and spirits plus beers, water and sodas. One of the best things about Seabourn is the incredible attention to detail. So in the marble bathroom, you’ll find a menu of luxurious therapeutic bubble baths, and if you want, your suite stewardess will draw the bath and prepare it for you-complete with flower petals scattered on the foam! We call that Pure Pampering, because… well, because that’s what it is. 5. Lets talk about my favorite aspect of cruising. it should be entertainment……………….but it’s……..FOOD. Can you open up the menu and describe the dining experiences on a Seabourn vacation. When a Seabourn yacht docks, it is quite often the best restaurant in town. Our main restaurant is just that, a place that can seat everyone on board, so you choose when, where and with whom you dine. If you meet some nice people in the lounge before dinner, you simply ask the maitre d’ to seat you together and he will do that. The menus are designed by Charlie Palmer, who is one of America’s most honored and successful chefs. The food is mostly prepared a la minute, meaning it’s cooked to order, as it is in the best restaurants ashore. The menus have a lot of variety. 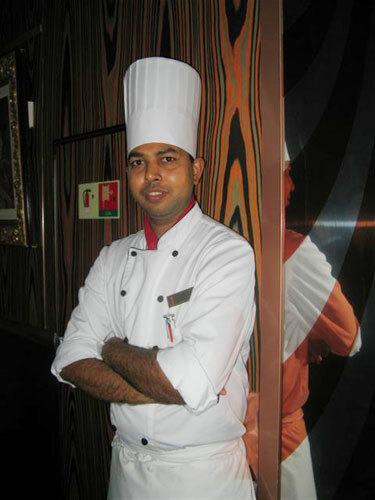 Charlie is renowned for creating bold flavors with fresh ingredients and playful presentations. His desserts are amazing, too. My favorite is the crèmes brulées en parade, which is a “parade” of three different flavors, like dark chocolate caramel, white chocolate mint and milk chocolate with orange. There’s always something to appeal to everyone, even vegetarians, but if you want something that’s not on the menu, it’s usually not a problem. If they have the ingredients on board, they’ll be happy to make something special for you. Besides the Restaurant, we also have other options. The Veranda Café is all the way up in the back of the ship, and has seating both indoors and out. They serve wonderful buffets for breakfast and lunch, and at night, it becomes Restaurant 2, and they serve these amazing tasting menus that feature maybe 12 or 15 small plates, each one just a bite or two, that add up to a feast of different flavors and sensations. It’s very modern and very popular, and there’s no extra charge. Some nights we do a barbecue dinner on deck for everyone, or a grill lunch or dinner up at the Sky Bar, which is very popular. On Seabourn, you can also order from the restaurant menu and have your dinner served in your suite. That’s really a nice touch, for a couple or two. 6. I understand that work has started on the new SEABOURN ODYSSEY. I am sure you are very excited about your new addition to the family. When will she be ready for delivery and what can we look forward to once onboard. Seabourn Odyssey will enter service in mid-2009. She is going to be almost three times the size of our current yachts, but that’s still a small ship by today’s standards! She will only carry twice as many guests, so there will be an amazing amount of space for even grander suites and lots of fun public areas for guests to enjoy. We are also keeping the same ratio of hospitality staff to guests, so we will be able to maintain the personalized style of service that is Seabourn’s hallmark. What we will gain is more deck space, with pools, spas and areas for lounging and activities – plus more variety of dining venues. But the ship will still feel intimate and yacht-like, because the relaxed social atmosphere on board is what makes Seabourn Seabourn. We will have a lot of the best features of our Seabourn sisters, like the fold-out water sports marina at the back of the ship. 7. Having read all about your ships and the cruise experience I am sure there may be people who are tempted to experience a Seabourn cruise for themselves. Is there, in your opinion, such a thing as a typical Seabourn Guest? What Seabourn guests all share is a passion for the best things in life. People who love good food and wine, who like to see new and unusual places and who like to meet interesting new people are happy on a Seabourn yacht. Seabourn yachts are really a way of traveling in a certain style. They are less about the bells and whistles of the ship and more about the destination, the service and the company you keep. Most of our itineraries are pretty port-intensive. In the Mediterranean, for instance, it’s pretty much a port a day. So the ship becomes the social setting for evenings, like a floating country club where you gather to talk about the things you saw and did today with like-minded companions. And like a club, the staff gets to know you quickly and can anticipate your desires almost before you realize them. The complimentary open bars also add to the club-like feeling on board. 8. I would like to take a trip back with you to 2004 and the launch of the Queen Mary 2. I watched the ceremony on television ( my invitation got lost in the mail…..again ) and I truly thought your speech was majestic and considering you had one of the most important and influential icons of our time standing on your left (and the Queen was there as well)……you showed no nerves at all. So, can you describe the feelings and emotions of that special day? Well, John, I cannot pretend that I wasn’t nervous beforehand. But I kept thinking about all the people who had worked so hard and so long to make her real. Because QM2 is more than a dream come true. She is, literally, the result of thousands upon thousands of dreams. I thought of all of the minds that imagined the endless list of details, and all of the hands that brought this or that skill to the myriad tasks that added up to this amazing entity. And of all of the people who were on board right at that moment, who will make her come alive every day and night for years and years. So then my part seemed really easy, just to welcome her into the history of Cunard, and express what it meant to all of us to see her there. 9. I am sure you must have traveled and cruised so many times to so many destinations. What are therefore your top three ports that you have visited on a ship? I guess I’d have to say there are three different kinds of ports that I love to visit. I love to go back to a favorite city after being away for awhile. Last spring I sailed on Seabourn Pride to Barcelona, and it reinforced to me the way you can always find something new, even in a place you’ve been many times. And then I love to visit a city for the first time that I have always wanted to see. That delicious sense of anticipation when you enter Hong Kong harbor or the canals of Venice for the first time. And the third type of port I love is the one I’ve never heard of, where I don’t know what to expect and so it’s like Christmas morning, unwrapping your gifts with no idea what delights you’ll uncover. On Seabourn, we always try to include a few of those surprises, like Le Lavandou in France or Kotor, Montenegro, just to keep the juices flowing. 10. Do your ships have Cruise Directors? If not, would you like one for a week as I think we should hold a Seabourn Bloggers cruise on the new Odyssey. We do, actually, John. But I think a bloggers’ cruise would be great. Maybe we can stir up enough interest to make it a full-ship charter. That way, you can design the itinerary, the onboard activities…we’ll even fly your custom-designed flag! Lots of people do it. Oprah Winfrey chartered one of our ships for her friend’s 70th birthday party. She said it was the most fun she’d ever had. I think you will agree with me that this interview shows a lady who has so much passion for the sea and the cruise ships that sail on it. 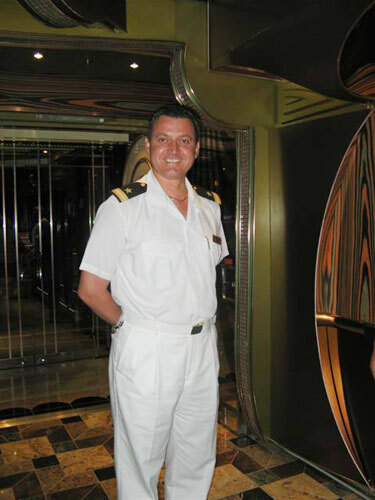 I don’t know about you but a bloggers cruise on a Seabourn ship………mmmmmmmmmmmm………something to think about. Please join me in thanking her. Not a great start to today’s cruise………….whose fault is that………Mr Computer……….that’s who. I cannot even begin to explain what happened but I can tell you that something didn’t work properly which resulted in the cabin keys not holding the security photo and therefore we had to take them all again which has resulted in a much slower embarkation process than usual. This means in one hour time I will be holding my welcome aboard talk and the first think I will have to do is lift their spirits a bit after the wait……..I am sure it will be fine. Going back to the English and American differences again I must say this. Americans are much more relaxed and able to laugh at themselves then most British people. There is something that makes us Brits unable to laugh at ourselves and this definitely spills over to audience participation events onboard. It is very rare that a British guest will volunteer for anything audience participation wise while my friends from the U.S.A. and Canada are always willing to volunteer. We all do speak the same language though and I hope the language of fun and laughter is spoken by more and more people because in the world we live in, we certainly need it. I have no idea why I am writing this but it is true. A blogger sent me a big bag of something called Russell Stover Sugar Free Jelly Beans and during the last two hours I have been eating them non-stop. A huge mistake, they have affected me like nothing I have ever eaten before. Heidi is walking around with a can of OUST spray in each hand like John Wayne at the OK Corral and I just called the captain to tell him not to bother turning the engines on…………Just tie me to the back of the ship, dip my bottom in the sea and we will be in Venice in an hour. I Love Jelly beans – send me more! John and Heidi – who is really NOT happy.